The William E. Carter American Legion Post (1531 Blue Hill Avenue) will be the host of a free all-ages afternoon (1 p.m. to 6 p.m.) spotlighting some of Mattapan's most talented musicians and guest artist friends. On the bill will be Fritz Orvil and his band Mélanj, with guest vocalist Rebecca Zampa. They will play in two popular Haitian styles: “kompa” (a modern meringue musical genre with European and African roots) and “troubador” (“twoubadou” in Kreyol), another guitar-based méringue combined with Cuban guajiro traditions). Also, Frank Wilkins and WeJazzUp will perform with guest pianist Rollins Ross and vocalist Athene Wilson. Members of the audience can then take the mic during the WeJazzUp Vocal Showcase. Jazz history connects Mattapan with such legends as Mike “Mr. Jelly Belly” Gordon, Toni Lynn Washington, Luther “Georgia Boy,” and “Snake” Johnson – not to mention native son Nat Hentoff, one of the nation’s foremost jazz critics. But Mattapan is no longer the jazz hotbed it once was. Says Harry King, a local jazz journalist and historian: “I know there was an active cultural scene, including jazz, before the economic decline and demographic shifts of the mid-20th century. Today, the younger generation is largely disconnected from jazz, as in other African-American communities where the music once flourished. 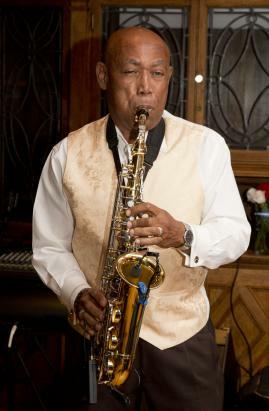 Kurtis Rivers, alto saxman and member of The Makanda Project, leads the band that has played every Sunday night for the last seven years at the Ramsey/Toy VFW Post (54 Woodrow Avenue) in Dorchester. The Kurtis Rivers Quintet will perform there on the last day of JazzWeek 2015, Sunday, May 3, from 7:30 p.m. to 10 p.m.
Rivers recalls that there used to be two jazz venues in Mattapan Square in the late 1970s-early 1980s and that the Carter Post had jazz regularly in the late 1980s-mid-1990s. He says that at present the Ramsey Post is the only jazz venue in the Mattapan, Dorchester, and Roxbury neighborhoods. Biff's Lounge in Dorchester still exists, but isn't a jazz venue anymore. Jazz Week 2015 kicked off on April 24, with a launch of more than 200 events throughout greater Boston. The 10-day celebration of Boston’s lively local scene runs through next Sunday. It ties in, as always, with the national observance of April as Jazz Appreciation Month, with Duke Ellington’s birthday (April 29), and since 2012, with International Jazz Day (April 30).